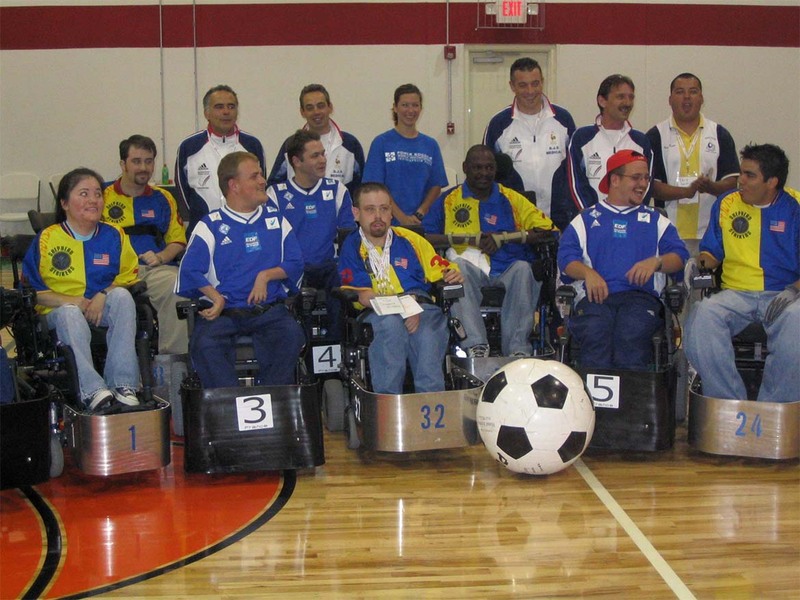 Power soccer has grown into an international sport, with more than 250 teams competing worldwide. Learn more about how it all began. 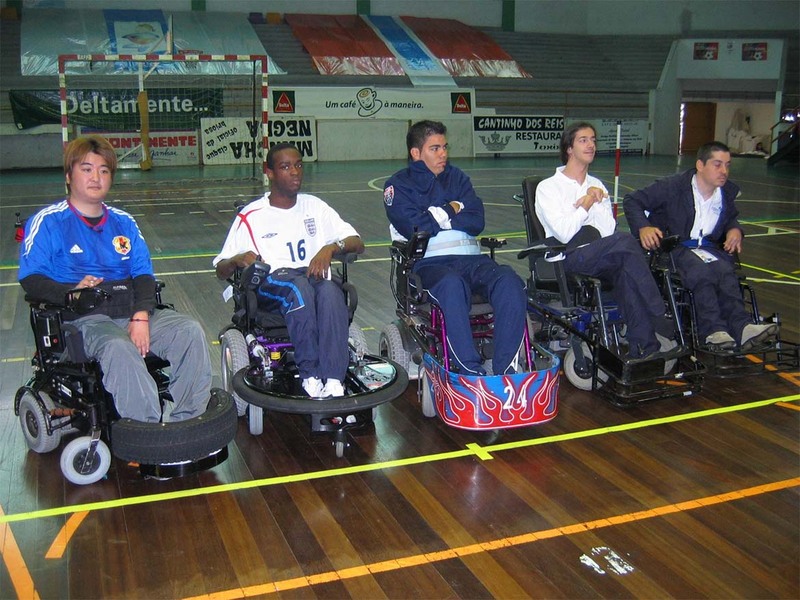 Powerchair Football has been played around the world in various forms for decades. During the 1970’s, some imaginative teachers in France created a form of football suited to the abilities of students with severe physical disabilities who used power wheelchairs . The initial version of the game involved an old basketball and “boards” along the sides of the court. Over the years, French Powerchair Football went through many adaptations and adjustments and grew into a highly competitive sport with over 30 teams in three divisions and many tournaments leading up to national championships. During these early years , the various forms of Powerchair football were played with most of the countries being unaware of each other’s endeavors. In 2004, a US Power Soccer coach, David Ruelas, visited Belgium on vacation and discovered the European form of the game. He then made contact with Herve Delattre, the Director of Powerchair Football in France. Their subsequent discussions, led to the idea of developing Powerchair Football into an international sport. In October 2005, representatives from the same seven countries met in Coimbra, Portugal. Teams from France, Japan, England and the USA demonstrated their rules and styles of play to the rest of the delegations. Long discussions resulted in a unanimous decision to use the English rules as the basis for the internationals Laws of the Game. 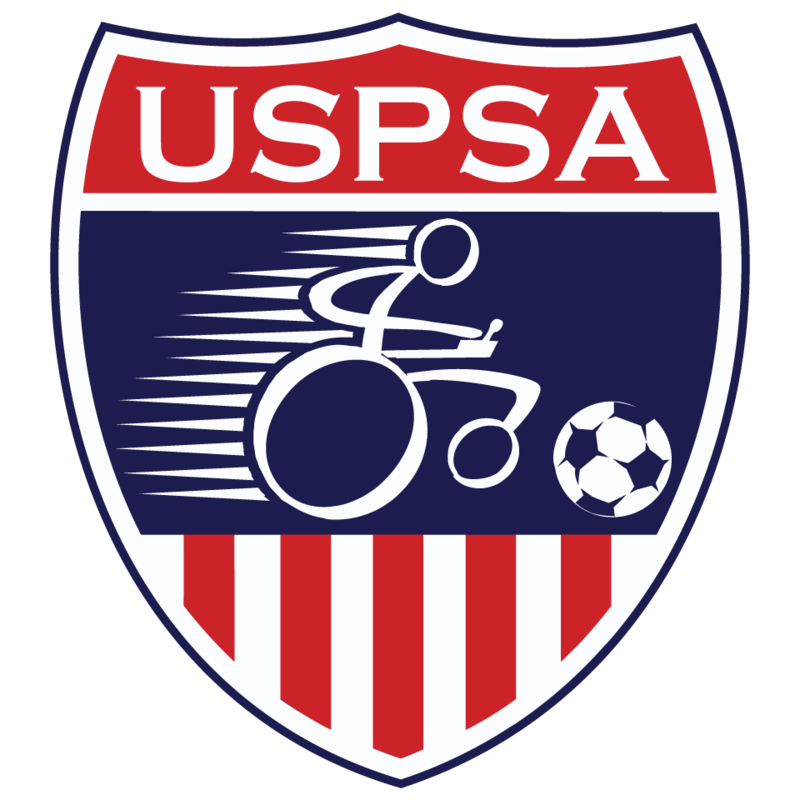 During this same period, a dedicated group of people, to include Jonathan Newman, Rick Armbrust, Barbara Peacock, David Ruelas, Jerry Frick, were as working to form the organization that would govern power soccer in the USA. Their work focused on the writing of a Constitution and Bylaws to provide a framework for effective development and administration of the sport nationally . 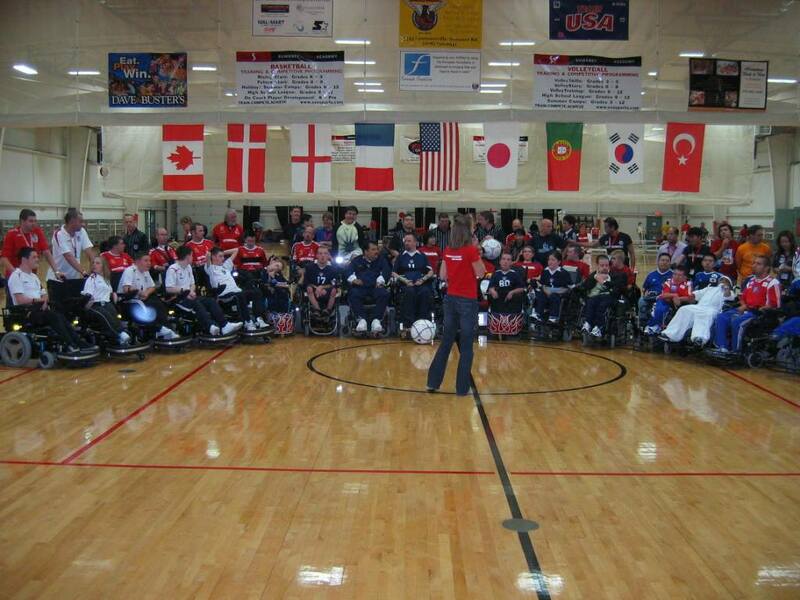 Following the adoption of the Constitution and elections in August, 2006, the charter board which included Jonathan Newman, Karen Russo, Jerry Frick, Patty Cornelius, and soon after Ericka Sutton formed under the direction of President Dominic Russo brought the dream to life and the United States Power Soccer Association, (USPSA) was born. The USPSA became a legal entity in October 2006 and was granted 501 (c ) 3 non profit status February 2007. The USPSA is headquartered in Carmel, Indiana. Meanwhile, in 1982, some energetic Canadian power chair users developed another form of Powerchair Football which they called "motor" soccer (later called power soccer in the US) which followed the rules of able-bodied soccer and applies the strategies of able-bodied rugby and basketball. 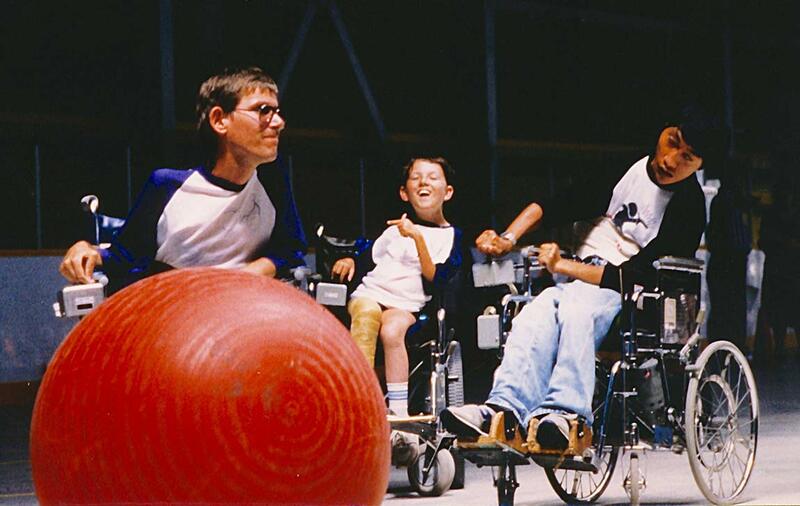 In 1988, power soccer was imported to the USA by a disabled sports program founded by university students in Berkeley, California. The sport differed from current ideals as it allowed picking and screening, had no speed limit, used a very big ball and did not allow backing up. The Japanese were also concurrently developing the sport to fit their needs and their version of the sport was adopted by England. 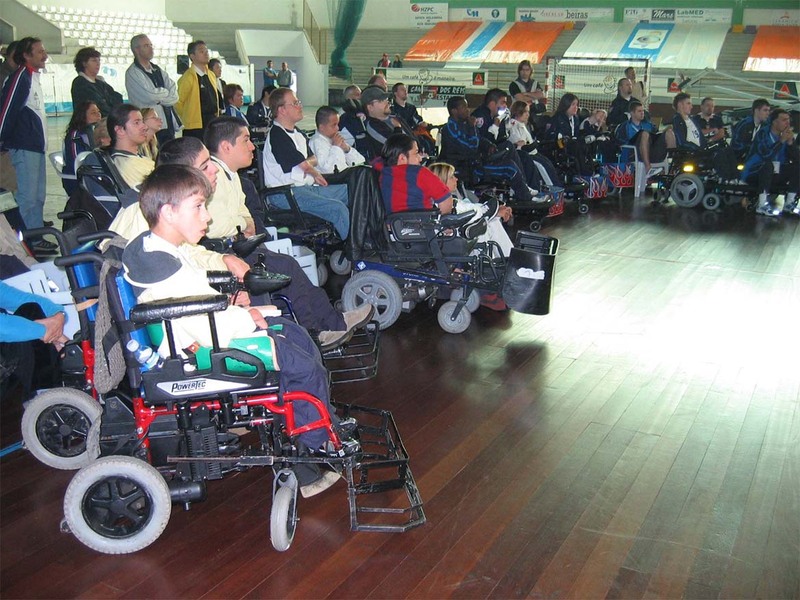 In January 2005, 24 representatives from seven countries (France, US, Canada, Japan, England, Belgium and Portugal) met in Le Chesnay, France and laid the groundwork for the formation of the International Powerchair Football Association (IPFA). 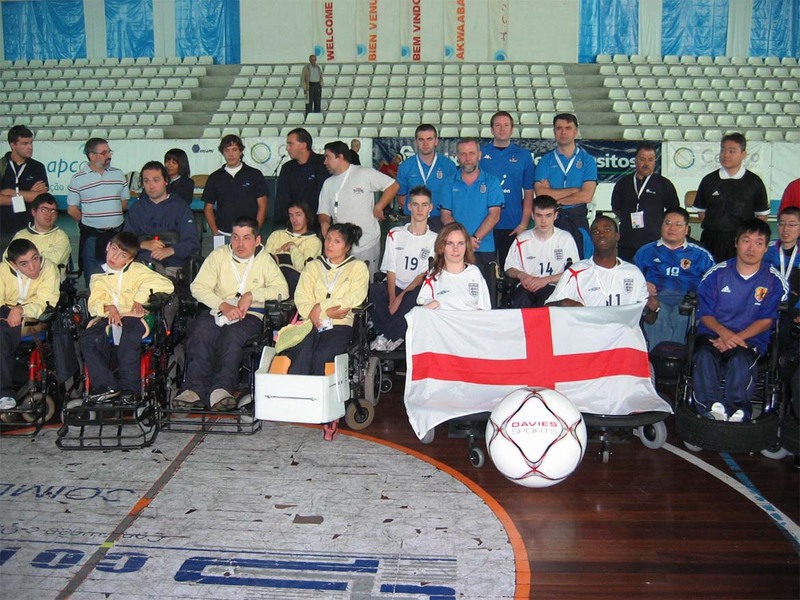 IPFA’s objectives were to develop an international governing body for Powerchair football and to promote the sport worldwide. Merging the four major variations of the game (French, Canadian/American, Japanese, English) into one standardized international format was established as the top priority. Over the next nine months, rules were discussed, debated, and modified and tried out on the field of play. In July 2006, teams from Canada, Denmark, England, France, Japan and the US, as well as delegates from Portugal, Turkey and South Korea, met in Atlanta, GA, USA. While the teams engaged in many practice sessions and a test tournament to fine tune the proposed laws, other delegates worked on a constitution and elected the organization’s first officers. At the end of these meetings the standardized Laws of the Game were adopted, the constitution was ratified, the name was changed and the international governing body, the Federation International Powerchair Football Association (FIPFA) was formally established with headquarters in Paris, France. Over the next several years, many powerchair associations formed around the world and the number of teams competing within FIPFA worldwide is estimated at over 250. As the game continues to evolve, so does the equipment, the rules and…most of all, the players. Meanwhile, in 1982, some energetic Canadian power chair users developed another form of Powerchair Football which they called Electric Wheelchair Soccer (later changed to power soccer). 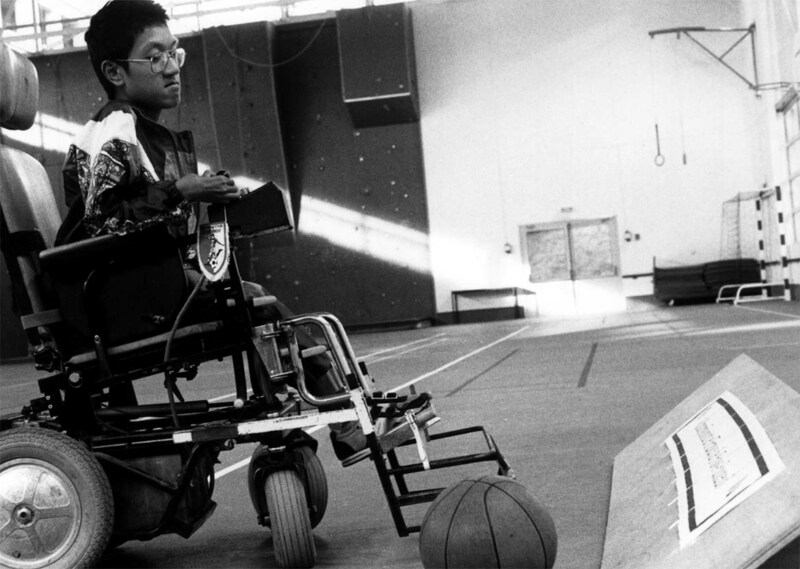 In 1988, power soccer was imported to the USA by a disabled sports program founded by university students in Berkeley, California. Power Soccer differed from Powerchair Football as it allowed picking and screening, had no speed limit, used a very big ball and did not allow backing up. The Japanese were also concurrently developing the sport to fit their needs and their version of the sport was adopted by England.